Michael Bowling. Photo courtesy of Indiana State Police. Indiana State Police arrested two men on drug charges after getting a tip about drugs at a Seymour motel. Troopers arrived at the Allstate Inn with a search warrant at about 10 p.m. Wednesday evening. A man ran away from the troopers, and allegedly tore open a baggy, trying to get rid of what police allege was methamphetamine inside. 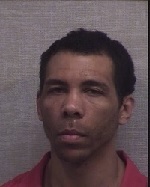 The man, 39-year-old Michael W. Bowling, was arrested a short distance away. State police found 35-year-old Christopher M. Dubois II n the room and he was allegedly carrying syringes and other drug paraphernalia. A search of the room revealed about an ounce of methamphetamine, along with more drug paraphernalia, police report. 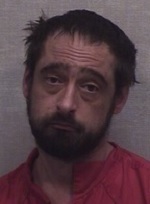 Bowling was arrested on charges of dealing more than 10 grams of methamphetamine, possessing the drug, along with possession of a syringe, obstruction of justice, maintaining a common nuisance, resisting law enforcement, and possession of drug paraphernalia. Christopher Dubois. Photo courtesy of Indiana State Police. Dubois is facing charges of dealing and possessing methamphetamine, possession of syringes and visiting a common nuisance.